Writers endure more judgment and criticism than perhaps any other art aside from music. Agents write blogs on the amount of drivel they read in the slush piles, ranting on how many of us they would like to bar from ever buying another laptop, or picking up another pen. Even when one of us has the good fortune to get published, reviews can cut right to the bone. Some of them are purposely written to make the reviewer seem more important than they really are. So here is my question, does it matter, really? When you read rants from agents about ill-prepared authors or seemingly thin plot-lines and less than stellar characters, does it discourage you from writing? There are times when it discourages me from submitting. Mostly, I chastise myself for wasting time on the Internet in the first place. But, there are times when the weight grows too heavy and it halts my ambition. That’s when any author needs to take a few days away from the phone and Internet, and recharge. Receiving tons of rejection doesn’t mean your work is genuis waiting to be discovered, just as being placed on the shelves of Barnes and Noble doesn’t mean it has been. Trends in publishing wax and wane and the personal tastes of burnt out agents, editors and publishers only narrow down the slight venue that makes it to print. This, at the end of the day, means little in relation to your story. I read a review from a website I am quite fond of, that felt harsh. I won’t go into which author or what book, but what I will say is that it felt like the reviewer wanted the author to follow certain formulas, map out characters in a very specific way and even went so far as to critisize the plot itself. Clearly, he didn’t care for the book…so why make the assumption that it needed to be changed? If you want it to be another book, perhaps you should just…read. another. book. So what say you? All this makes me want to be a recluse, not that I’m not already…am I alone here? What is it that beckons that inner voice? When the hours draw long and still, and the world quiets to merely a whisper, then it comes. Peace. A deeper solitude than can be found in any writing book, or literary commentary or within the tawdry lines of any blog. There is no price high enough to place on this state of mind to equal its worth. 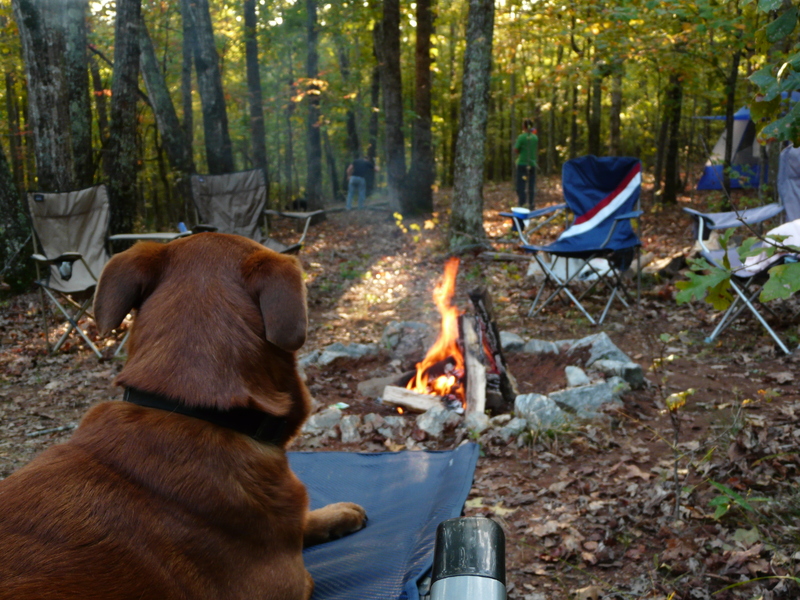 I spent a long weekend at Oak Mountain, enjoying the crisp fall air and the smell of a campfire. I had originally intended on getting a fair amount of writing done, but found instead that the simple enjoyment of true rest was more beneficial. After a day of getting adjusted back to the monotony of city life, I am ready to write again. Its funny how much can be figured out by listening only to the silence. For two years a question has hovered over my current project, reeking havoc on my concentration and muddying my plot lines. After listening. Really listening. I now have my answer, and it was there all along. They say that being published will not change you. They say that being bitter early in the game is both a bad sign, and a predictor of future success. They say that perseverance is the key to breaking into the market. They also said the world was flat. I began this blog to vent the frustrations of an author in pursuit. Gee, that’s never been done. This is more for my health than for the pragmatism of it. I need to tell what part of the world wanders past this blog by accident, how frustrating it is to read 20 something different guides on how to write a professional query letter. Yeah, I know that each individual agent is different from the next…thank you captain obvious. What confuses me is not the subtle stuff, it’s the universal rights and wrongs that they all claim. It’s a little like religion if you ask me, everyone has a monopoly on truth. On another note, trying to find an agent is somewhat like dating. I assume this is not a new analogy. It just strikes me as funny every time I find myself getting overly hopeful. I just know this agent is right for me…sound familiar? So, I suppose in a way that makes me single and searching. I have sent out a few queries, and like that first impression on a blind date, we’ll see. If you happened to catch this blog early on…keep watching.